As I have traveled a fair amount many of my friends ask me for tips on what to pack, particularly for longer trips. I have to admit, I’m not always the best packer. I often over-pack and struggle reducing the number of clothes I want to bring. But, I have managed to come up with some packing tricks over the years, some to try and overcome my over-packing tendencies, some to help with long trips with limited packing space. Below are my top tips. I would love to hear from others if they have any tips to pass along. 1. Always pack enough underwear to have a clean pair a day. Underwear is small, easy to stuff into small corners of your suitcase or backpack and no matter how dirty the rest of your clothes are, if you have a clean pair of underwear you feel infinitely better. If your trip is many months and this isn’t feasible, bring as much as you can (I always bring at least one month worth) as you will have to do laundry either way. 2. Bring layers. This is important whether you are going on a trip with many different climates or even just to a tropical island. Evenings can always cool off, or some places are so air-conditioned that the 30 degrees outside doesn’t even matter, you still need a sweater. Layers also allow for multiple outfits and versatility with minimum clothes. Thinner layers pack better and you can pack more of them without sacrificing warmth. 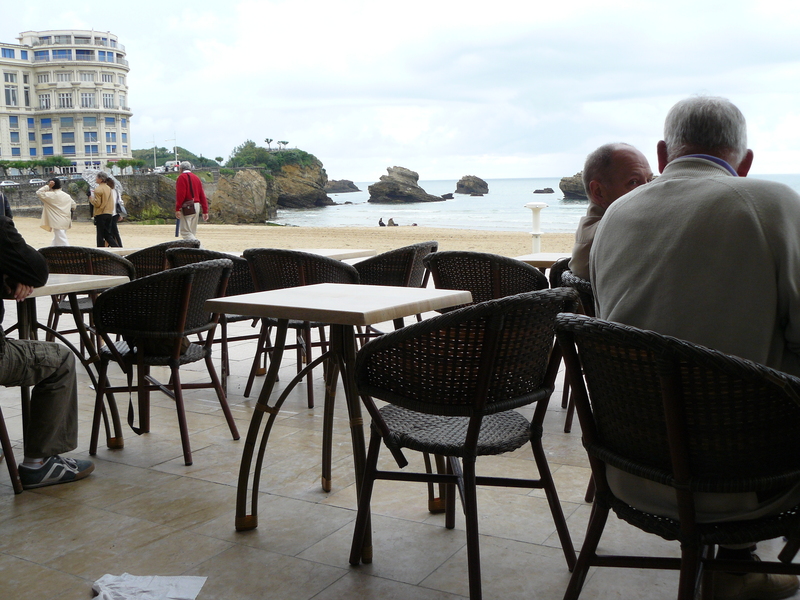 Biarritz in the South of France. The weather went from rain to hot and sunny throughout the day. 3. Gather up what you want to pack. Then cut it by about a third or more, especially if you are backpacking. Even though it doesn’t seem like much, or you can lift it after you have closed your suitcase, remember that you will have to carry it for longer than the 30 seconds you just lifted it. Whether backpacking from place to place or just carrying your suitcase up the many stairs at that adorable European hotel (that is much less adorable when carrying a huge suitcase up five flights of stairs where there is no elevator), it will feel much heavier when you are actually traveling. Plus most people need some room for souvenirs or shopping along the way. 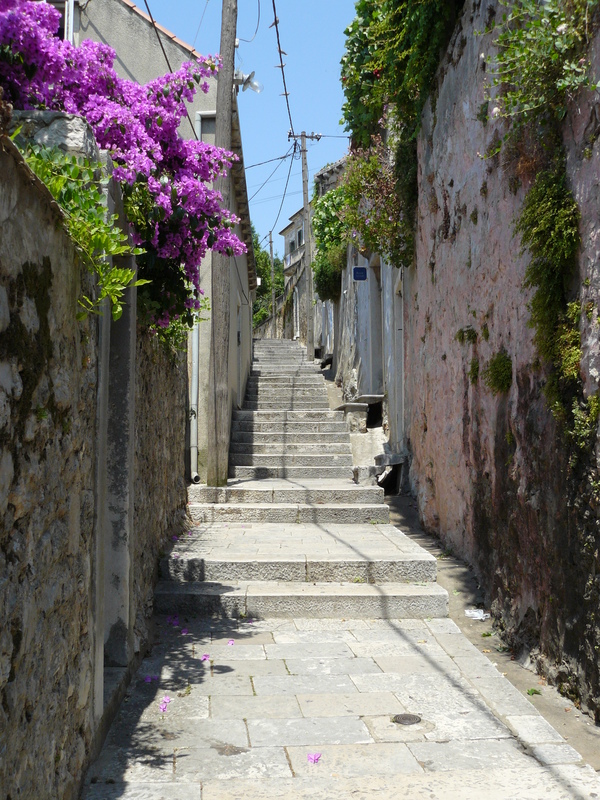 Stairs in Dubrovnik. Carrying a heavy backpack up the stairs in the heat is not fun! 4. Pack versatile items. For women, dresses are great as they can be used in multiple scenarios. For shoes only bring a couple pairs, shoes are heavy so a couple of comfortable styles that can be used with any outfit will be enough. Bring sweaters or cardigans, they can be used to layer, will keep you warm, and can change the look of an outfit for variety. Only bring one jacket, a nice raincoat can be used in multiple weather situations, is usually wind resistant and is lightweight and will fold down easily for packing. 5. Especially for long trips, only bring the essentials for toiletries. There are not many places in the world anymore where you cannot buy replacements along the way. 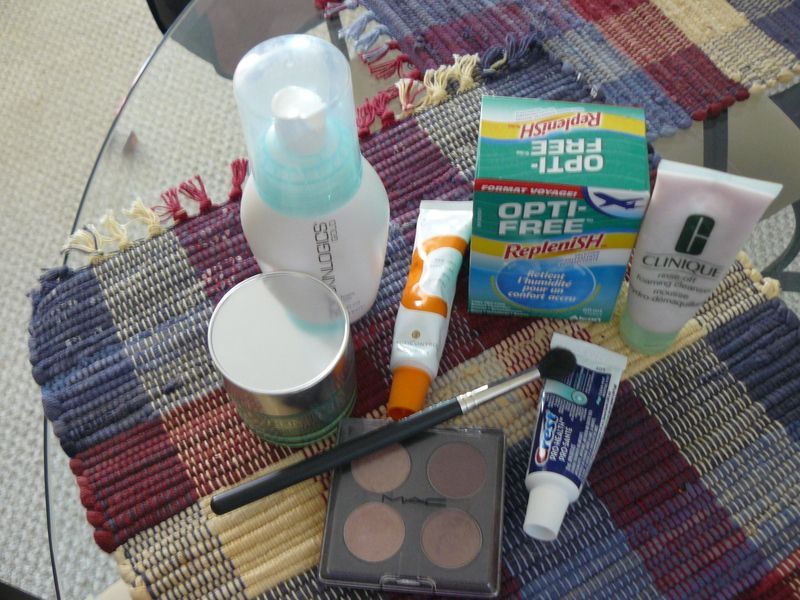 Bring enough for the entire trip of key items like contact solution, toothbrush, special skin care, makeup etc. that you are less likely to find where you are going. For items like shampoo, toothpaste and similar things, bring smaller amounts as they can be easily replaced if you run out of them. 6. Use an e-reader. Technology has made bringing books on vacation so much easier. 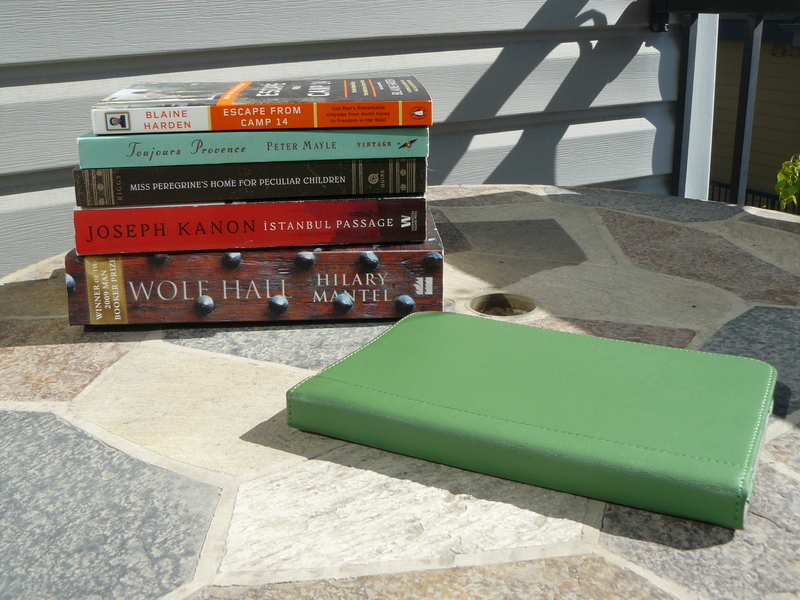 I used to bring 3 to 5 books and then swap them out along the way, either with other travelers or at hostels. But books are heavy and cumbersome, e-readers mean you can take hundreds of books and only sacrifice a couple pounds of weight. 7. If you are traveling with other people, share appliances like hair dryers, power converters and chargers, if possible. Everyone will then share the weight and space to carry these items. Hope these tips help. Happy traveling!